The FDC was cancelled in Kuala Lumpur. 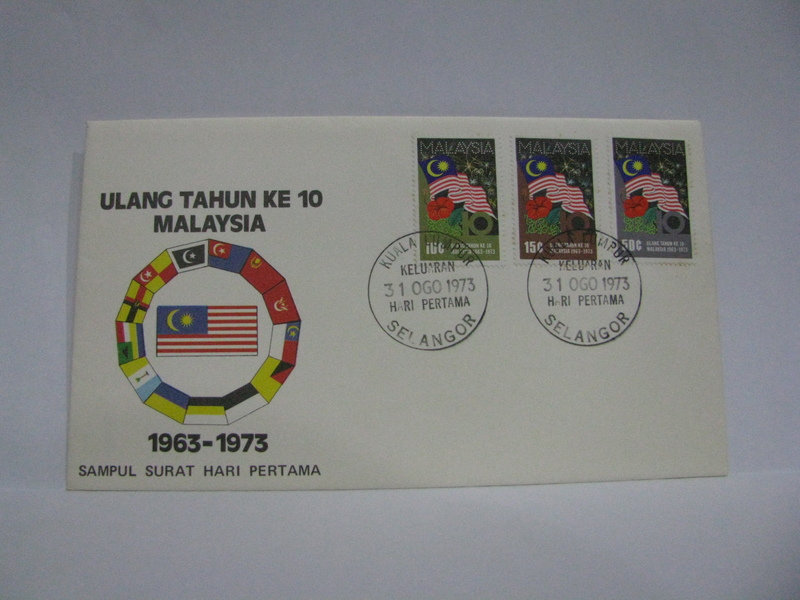 Technically the correct date should be 16 September 1973 as Malaysia was formed on 16 September 1963. 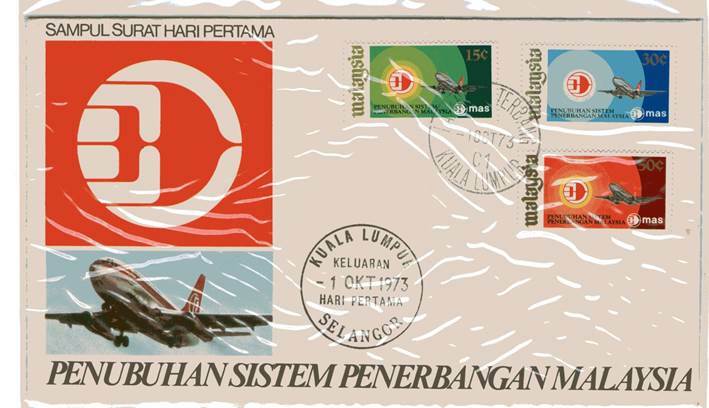 This FDC was cancelled in Kuala Lumpur and Lapangan Terbang Kuala Lumpur (Kuala Lumpur Airport in Subang). The image is provided by KH Chung. 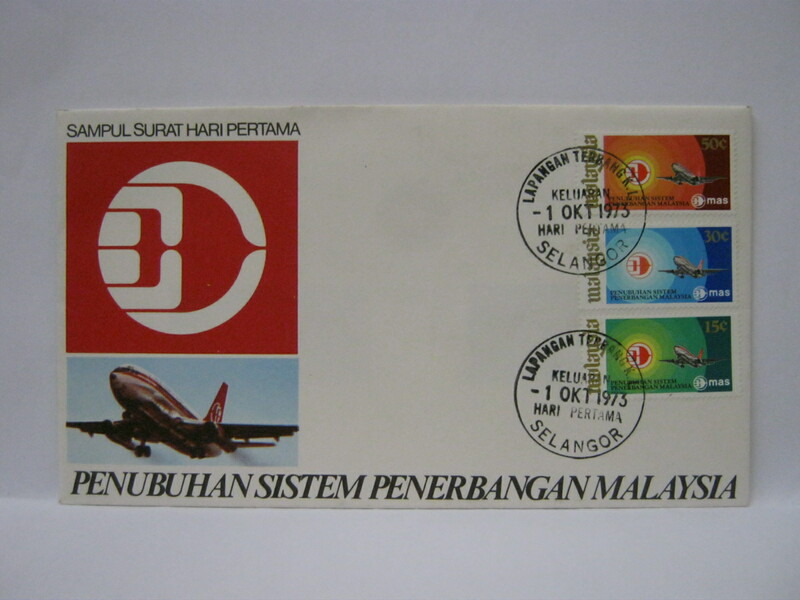 This FDC was cancelled in Lapangan Terbang KL with the first day of issue cancellation. An excellent combination to show how Malaysia came together! Hi! I have 2 FDC from the year 1973. 2. 25th Anniversary of World Health Organisation. Reply me if you want to see it. Is there any special cancellation on both covers? So far I am unable to find special cancels. The cancels that I know off are the GPO and regular post office first day cancels. If you have special cancels, I would love to load it with your permission. I currently feature only concordant cancels (i.e. the cancellation matches the topic or if there is a special cancel). I’m actually like new in stamps. What does ‘cancellation’ means anyway? 🙂 Some call it postmark. I feel postmark should be reserved for the postal marks rather than the cancels on the FDCs. Locally we call it “chop”!